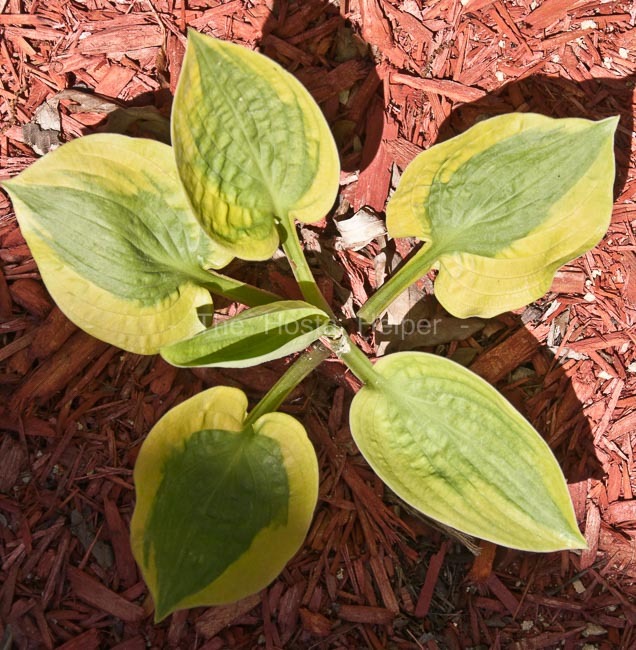 There is some confusion as to the background of this plant. 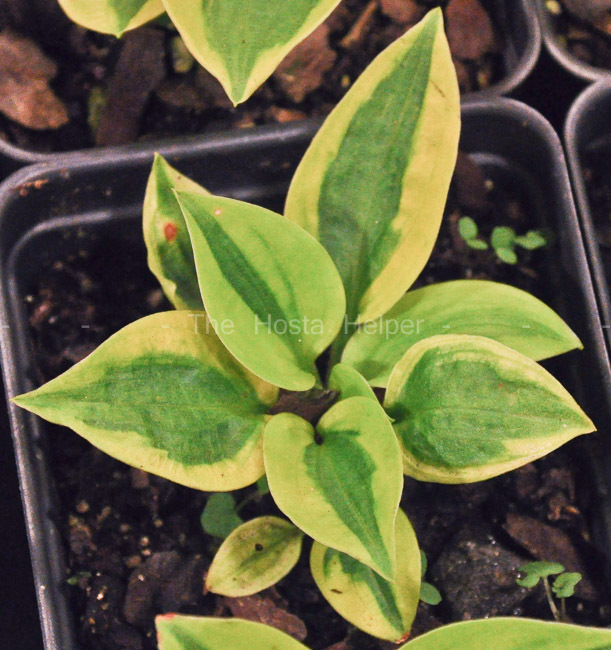 According to The Hostapedia by Mark Zilis (2009), "...registered as a selfed seedling of 'Sheer Bliss'...though listed by the originator's company as a hybrid of 'Sheer Bliss' × 'Blue Ox'..." It was registered by Rod Lysne of Northern Grown Perennials in Wisconsin in 2006. 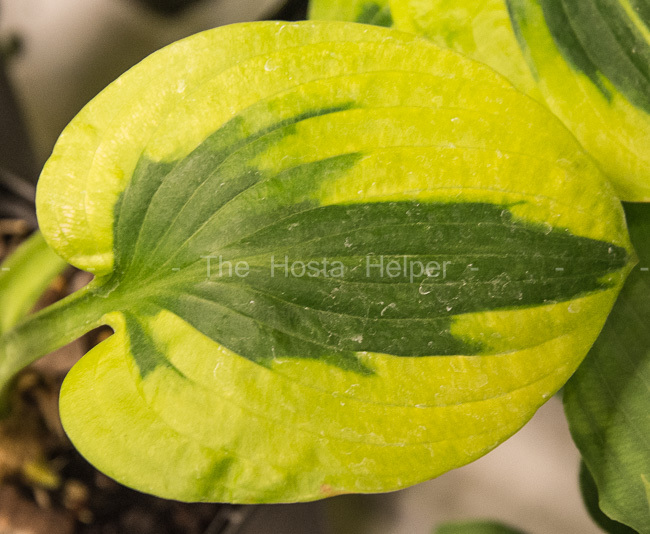 This is a medium size hosta about 16 inches high by 24 inches wide with dark green foliage that has a wide, creamy yellow marginal variegation. The foliage is slightly shiny on top, broadly ovate, lightly cupped, moderately corrugated and dull on the bottom. Pale lavender flowers bloom in July on scapes about 16 inches tall but it does not set seeds. According to the registration materials, "...heavy substance, very wide margin, intense gold color phase...margins change from chartreuse to gold to ivory." "2006 Registration: H. ‘Glad Rags’ This was registered with incorrect parentage as [H. ‘Sheer Bliss’ selfed] It should have been [of H. ‘Sheer Bliss’ × H. ‘Blue Ox’]."